You are here: Home / Blog / handwriting / If Handwriting is Becoming Obsolete Why Do We Care? “Computer technology is going to replace handwriting”, we hear it all the time. Yet our children in school have to write and when they do they are often frustrated and resistive. If handwriting is becoming obsolete why do we care? Handwriting in and of itself is a complex function. It does not happen in the hand, it happens in the brain and starts with abilities related to visualization and memory both visual-form and motor memory. 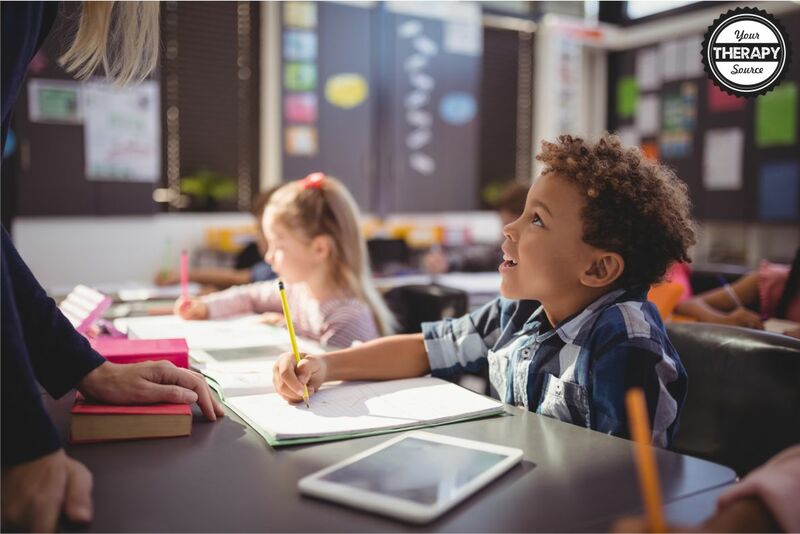 If a child is having difficulty writing the issues usually start within the basic sensory-motor processing systems involving these fundamental functions. In most cases it is because the automatic functions have never become automatic. All of handwriting is the combination of basic shapes. Learning those shapes first creates automatic writing later. The Handwriting on the Wall® System does just that! By learning 3 shapes for manuscript and 4 shapes for cursive—literally without vision with hands, feet, elbows, any part of the body that moves not only creates automaticity, it is FUN!! Change the behavior from fear to fun and you change handwriting. I hear often from parents, ‘this is just like me as a child, I never did write well. It’s inherited from me.’ Well things are genetic but handwriting is both nature and nurture. • Kinesthesia: the ability to make a motor pattern “automatic”. Therefore letter patterns can become automatic. • Proprioception: the ability to “feel” your body’s position. Children can learn to “feel” when they are holding the pencil properly and when the pressure is just “right”. • Memory: is both single object and sequential. Both the whole letter and its shape as it is evolving, can be recalled automatically. • Emotions: can dictate how we learn. It will no longer be necessary to fear writing when it becomes automatic. • Visual Perception: is a process not acuity. The ability to interpret what is seen properly allows the child to remember and use what is presented. By experiencing these functions through activities as listed in the Handwriting on the Wall® Manual, children will learn in-hand manipulative abilities that naturally increase handwriting—and have FUN doing it!! 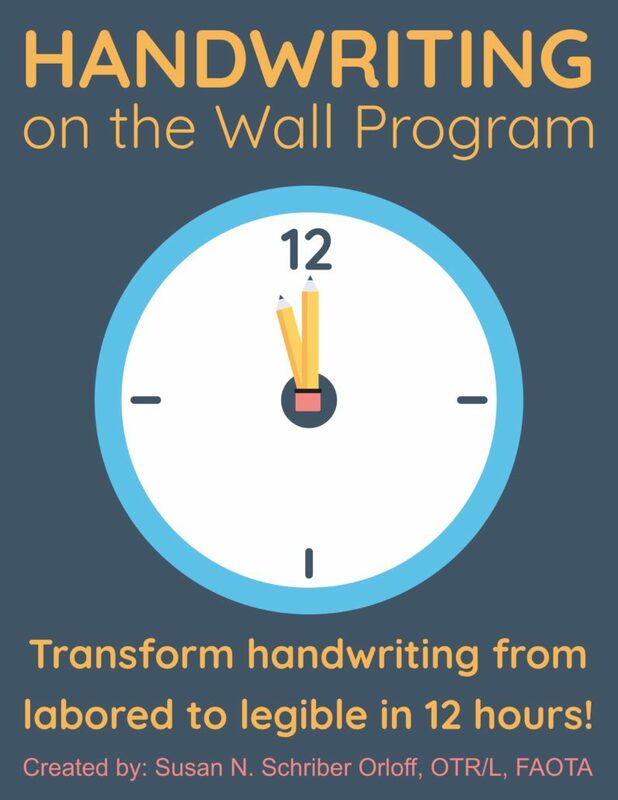 Sign up to receive the weekly email newsletter from Your Therapy Source to gain access to 5 FREE sample pages from the Handwriting on the Wall Program. The blog post was written by Susan N. Schriber Orloff, OTR/L, FAOTA, creator of the Write Incredibly Now ™(W.I.N. 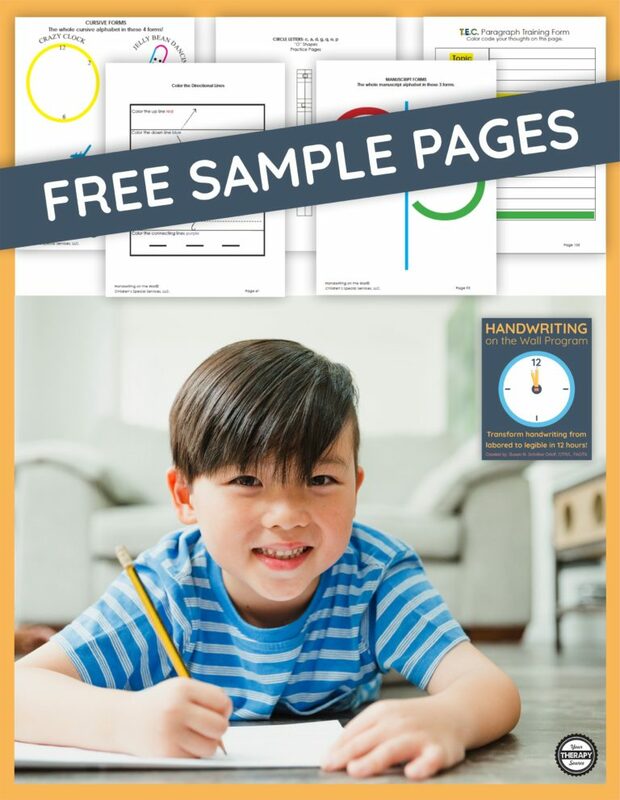 TM) exclusive U.S. trademarked handwriting program of Children’s Special Services, LLC.